Canteens There is 1 product. Laguncula or Roman canteen. Replica of the authentic Roman canteen, also called Laguncula in ancient Rome. 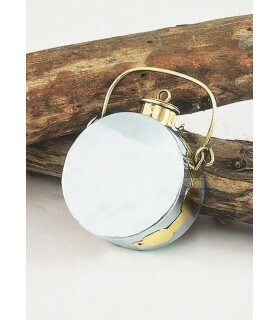 It is made of steel and brass, which today are not suitable materials for the manufacture of containers for drinking. It has a capacity of 1.5 liters. IMPORTANT: Its use is completely decorative.